The missed target is rough news for the company, which has relied on that promise to attract developers to build apps for Windows 10. Microsoft’s reorganization of its phone business, to get away from manufacturing a broad selection of Windows smartphones, has been a key factor in the delay. The company announced last year that it would lay off 7,800 people in the phone business, just ahead of the Windows 10 launch. Microsoft will still be able to make it to a billion Windows 10 devices at some point, Gartner analyst Steve Kleynhans said. In his view, the only question is how long it will take Microsoft to reach that billion-device mark. 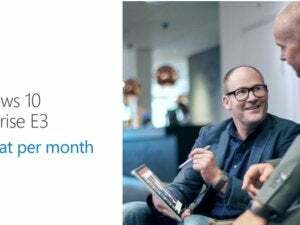 There are already 350 million Windows 10 devices ahead of the free upgrade deadline at the end of July, and businesses are aggressively deploying the new OS. The current growth rate on PCs is about as good as Microsoft could expect, IDC analyst Al Gillen said in an email. The rest of the company’s growth would have to come from devices like the Xbox and Windows smartphones. 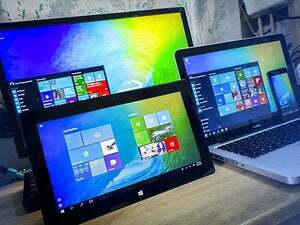 There are about 340 million tablets, 2-in-1s, and PCs running Windows 10 today, making up the overwhelming majority of Microsoft’s 350 million number, he said.